Another auspicious thing is the rangolis are not colourful, we only use rice flour to draw the designs... For that we make a semi liquid paste of rice flour and water and through finger we draw the patterns... In this rangoli Lakshmi Paduka (Foot of Maa Lakshmi ) design is compulsory... Hence here i have tried to draw few designs which we normally draw in this rangoli.. 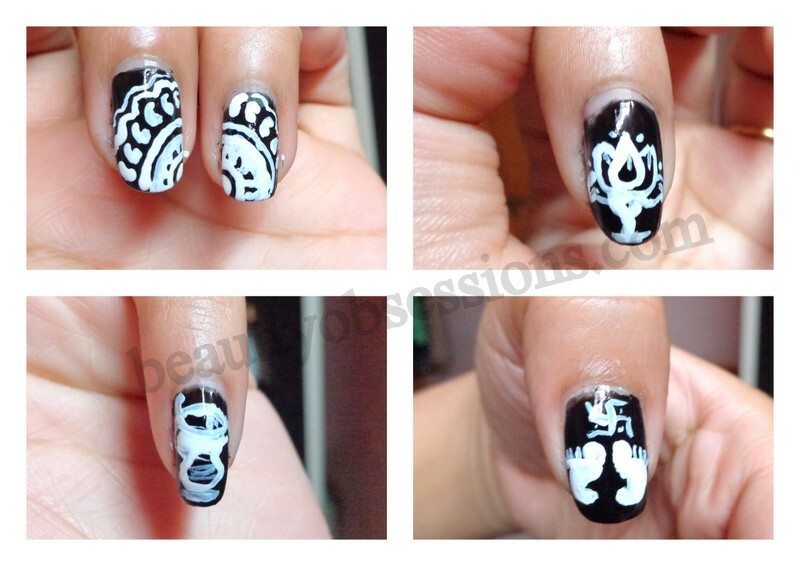 I will come with another beautiful nailart soon... Stay tuned.. Very cute. I love that you had used just black & white.